When a paddock is first is developed and sown to new pasture the amount of plant available nitrogen in the soil is typically higher than the pasture requires. This high level of nitrogen enables the newly established grass pasture to grow a large bulk of highly nutritious forage. However over time the amount of plant available nitrogen decreases as it becomes tied-up in plant organic matter. Therefore nitrogen needs to be added in a plant available (mineral) form to overcome this deficiency and boost grass production. 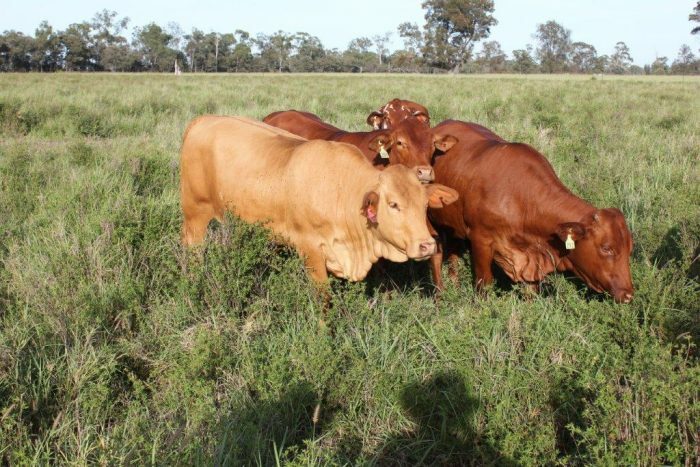 Research in southern and central Queensland where annual average rainfall is between 550 to 700mm shows that adding nitrogen to a rundown pasture will typically provide between 20 and 50kg of extra grass per hectare, per kilogram of nitrogen applied per hectare. The response depends on the amount of rainfall, how rundown the pasture is, and other limiting soil nutrients. This response occurs up to a rate of 120kg per hectare of nitrogen, after which the grass continues to grow better but the response rate starts to decline. The amount of nitrogen which can be added to the soil by legumes is directly related to how well they grow. The better they grow the more nitrogen they supply. How well a legume grows depends on soil fertility, rainfall, legume variety, rhizobia and grazing management. Therefore, more nitrogen is supplied in environments capable of growing highly productive pastures (e.g. more fertile soils and higher rainfall) and by high-producing legume varieties. The amount of nitrogen that can potentially be added to different production environments, compared to one annual fertiliser application, is shown in Table 1. Large populations of well grown legumes are needed to contribute the levels indicated in the table, and the legume must be effectively nodulated with the right rhizobium otherwise it will fix little, to no, nitrogen. Table 1. Nitrogen benefit from legumes, compared to one fertiliser rate. Despite legumes being unable to match the nitrogen needs of grass to the degree that fertiliser can, the benefit they provide still makes it worthwhile including them in a pasture. Legumes biologically fix nitrogen each year, as opposed to fertiliser which must be purchased and re-applied periodically. Legumes also provide higher quality forage for much of the year than grasses leading to higher stock growth rates. 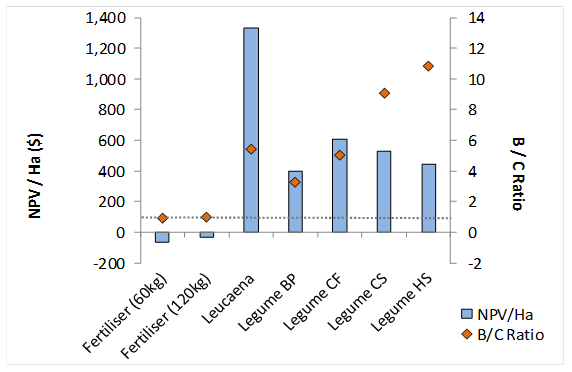 Economic comparisons of different rundown mitigation options over a 30 year period indicate that, despite lower nitrogen inputs and hence lower grass responses, legumes still provide better economic outcomes compared to low (60kg/ha) or high (120kg/ha) rates of nitrogen fertiliser if application required each year (Figure 1). Figure 1. Economic outcomes from fertiliser and legumes established by different techniques. NPV = net present value, B/C ratio = benefit cost ratio, legume BP, CF, CS and HS stand for blade plough, cultivated fallow, cultivated strips and herbicide strips respectively. Nitrogen fertilisers provide additional nitrogen to the pasture and increase the plant available soil nitrogen levels. Responses in dry matter production and protein are dramatic following nitrogen fertiliser application (Figure 2) but are also generally short-lived, with significant benefits only lasting 1 to 2 years. However, if high rates of fertiliser are applied over longer periods, the overall soil nitrogen pool increases, leading to increased nitrogen cycling. The key benefits of using fertiliser are the ability to supply the required amount of nitrogen in a timely and targeted manner, and having control over how much nitrogen the pasture receives. The largest drawback of using fertiliser is cost. Fertiliser is expensive and may only be economical in higher rainfall districts, irrigated pastures, or for special purposes such as finishing stock earlier for market premiums; for hay; or for grass seed production. For the best results, nitrogen fertiliser needs to be incorporated into the ground, either through rainfall soon after broadcasting on the surface or by drilling it into the soil. Figure 2. Buffel grass showing the response to nitrogen fertiliser that was broadcast on the surface. Increasing nitrogen levels by adding legumes is the best long-term option economically for increasing the productivity of rundown pastures. This is because once they’re established, legumes can provide moderate amounts of nitrogen year after year. Currently available legumes, with good agronomy and management, can potentially reclaim 30 to 50% of grass production lost through pasture rundown, while also providing additional nutritional benefits to livestock. Poor commercial results from legumes are often due to poor establishment, as low cost and low reliability techniques are typically used. The main exception is leucaena, where using sound crop agronomy principles are now routinely applied in order to effectively establish this legume. Legumes must be established in sufficient numbers across the paddock to end up with a good population (greater than or equal to 4 plants per square metre for most legumes) with adequate soil nutrients (particularly phosphorus) and the right rhizobium so they can boost nitrogen supply and enhance grass growth and quality. The amount of nitrogen fixed by a legume pasture is directly related to its dry matter production. An average well-grown legume pasture will fix 25kg of nitrogen per tonne of dry matter per year, with about 10 to 15kg of that cycling back for the grass to utilise. This extra nitrogen leads to more grass dry matter production and improved livestock carrying capacities. Legumes also provide high quality feed which improves liveweight gains. Seedbed preparation and soil moisture storage. Reducing competition by controlling grass, weeds and trees before and after sowing. Planting at the right time of the year when there is a high chance of follow up rainfall. Graze only once plants have grown a root mass strong enough to withstand grazing without being pulled out of the ground and have set seed (self-regenerating legumes, not leucaena). Establishing pasture legumes is costly so aim to do it properly the first time. You can increase your chances of success significantly by using good agronomic practices, however failure to establish can still occur due to issues beyond your control. Pasture and liveweight gain improvements will be achieved sooner if the legumes are given the best chance to establish and thrive. Fallow the area or paddock to be planted to reduce competition, store moisture and kill the grass and weeds. 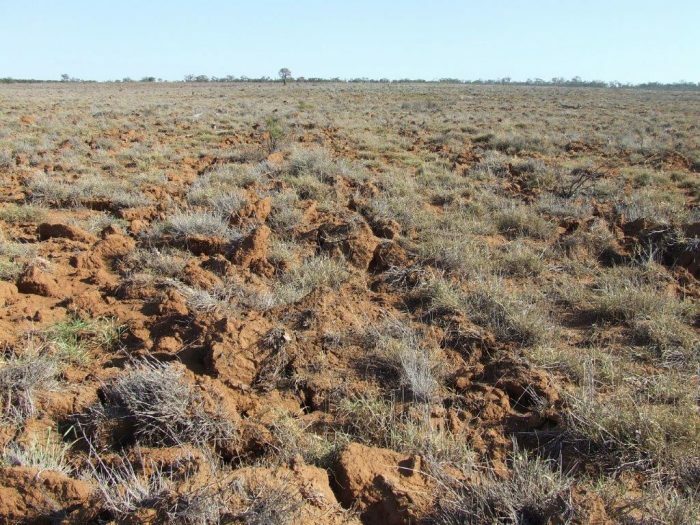 An entire paddock can be fallowed, or fallow strips of 4m or greater throughout the paddock. Select correct varieties and ensure the planted area can be spelled after sowing. Some legumes have high phosphorus and sulphur requirements. If soil nutrient levels are low, plants will be stunted and grow poorly, reducing the amount of nitrogen they supply. Phosphorus fertiliser may need to be applied prior to or at planting. When choosing legumes, seek expert advice to determine the best species for your situation. Factors to consider are soil type and nutrition, frost tolerance, rainfall, life span (perennial or annual), long-term persistence, time of maturity and grazing management. Make sure the seed has been mechanically scarified and tested for germination. A germination percentage of 30 to 60% for small seeded legumes provides high amounts of seed to germinate with the first rains, with some hard seed that may germinate later. If sowing into prepared seedbeds with good moisture, high levels of soft seed is needed so a high percentage germinate on the first rain (instead of just weeds germinating). Aim to sow at least 1kg/ha of pure live seed, which accounts for germination and purity assessments. If using coated seed, seeding rates per hectare must increase, potentially three to five times, based on the coat to seed ratio. Innoculate seed with the correct rhizobium strain for that legume just prior to planting. Aim to maximise seed-soil contact and reduce competition. Seedbeds can be prepared in strips throughout the paddock if the existing grass is productive. Research has shown that strips need to be a minimum of 4m wide to reduce competition from grass outside the strip. If the number of better grasses in the paddock are low, the whole paddock should be prepared. Hard setting soils should be lightly cultivated or ‘roughened up’ to promote water infiltration and to allow seed to be planted on top or just under the soil surface. Avoid very rough seedbeds with large clods as the seed can be planted too deep. Soils that self-mulch, for example cracking clays in brigalow, open downs or alluvial landscapes, can naturally provide a seedbed and require minimal preparation. Seedbeds where the soil is fine but firm often have the best germinations. Aim to plant small seeded legumes on top or just under the surface (e.g. for stylos), or no more than 10 to 20mm deep (e.g. for desmanthus), whereas larger seeded legumes (e.g. leucaena, butterfly pea) can be sown deeper, down to 40mm. In situations where a cultivated seedbed is not achievable, spray existing pastures to reduce competition (preferably a couple of times) and assist in moisture storage before planting legumes. Poor seedbed for pasture legumes. Always aim to plant with good subsoil moisture and time plantings to maximise follow-up rainfall opportunities soon after establishment. The success of legumes persisting in grass pasture depends on good grazing management in the first year. Legumes should not be grazed until the seedlings have developed a strong root system so they can not be pulled out of the ground. Grazing should be managed to allow legumes to set large amounts of seed. Leucaena is the exception to this rule and can be grazed once the seedlings are around 1.5m in height. 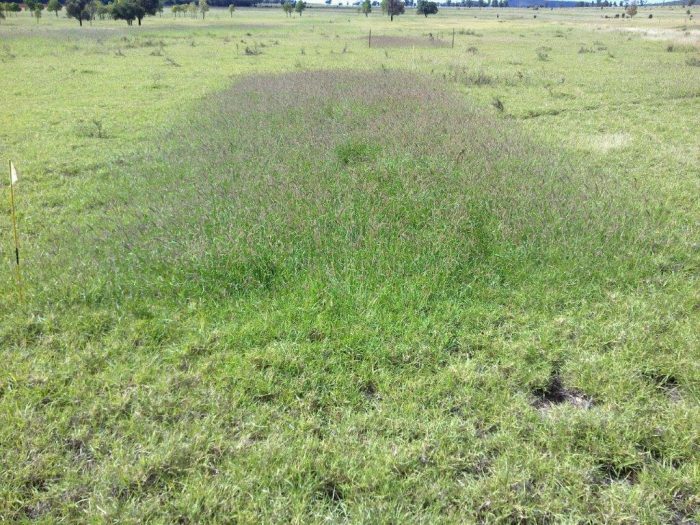 Research demonstrates the benefit of removing the competition (grass and weeds) and preparing a seedbed, when establishing legumes into an existing grass pasture. The longer the fallow and the more grass removed, the better the legume establishment. Figure 2 shows the very high attrition rate over time, and reinforces the recommendations of sowing quality seed at prescribed sowing rates. The commonly used practice of broadcasting seed into one pass or undisturbed pasture is not a cost-effective way of establishing legumes. Figure 2. Establishment of desmanthus into buffel grass using a range of pre-plant and post-plant treatments. A printer friendly version of this information is available on our Fact sheet: Dealing with sown pasture run-down: increasing nitrogen inputs (PDF, 934KB). 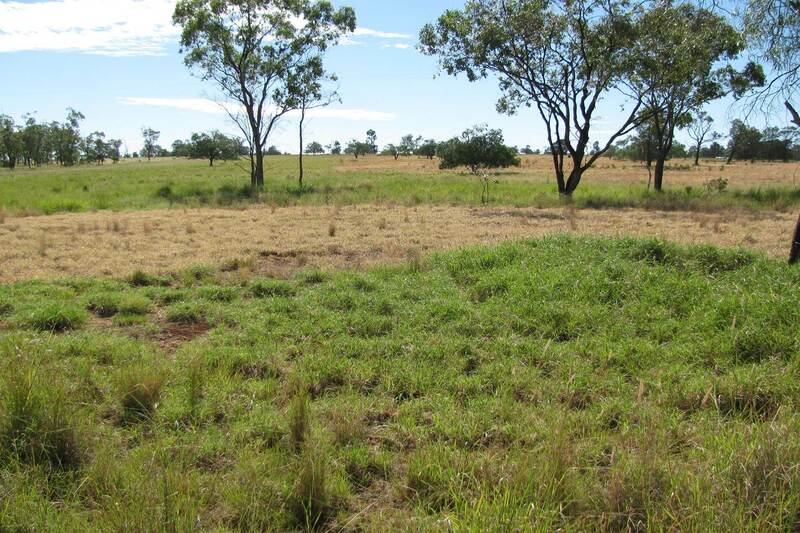 For more information about managing sown pasture rundown contact the Department of Agriculture and Fisheries on 13 25 23 (cost of a local call within Queensland) or 07 3404 6999 or email callweb@daf.qld.gov.au. Tropical forages: an interactive selection tool, CSIRO Sustainable Ecosystems, Department of Primary Industries and Fisheries (Queensland), Centro Internacional de Agricultura Tropical and the International Livestock Research Institute.